Picked up some beautiful hydrangeas to brighten up my room. A clean, bright space is needed for all of this preparation for finals. I hope you all are having a wonderful weekend. 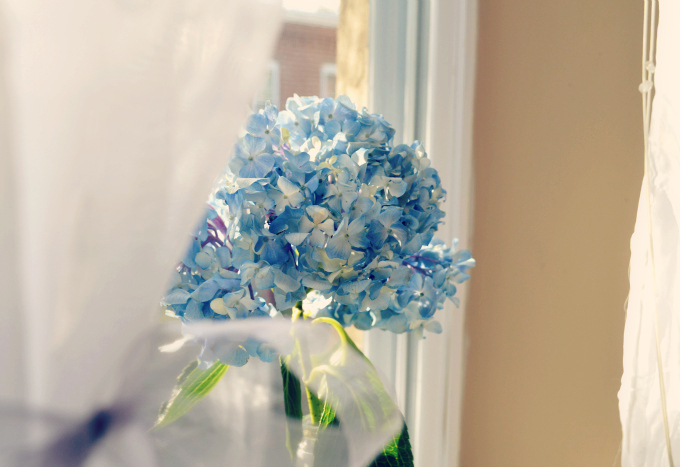 Hydrangeas are one of my favorite flowers- what a beautiful blue! 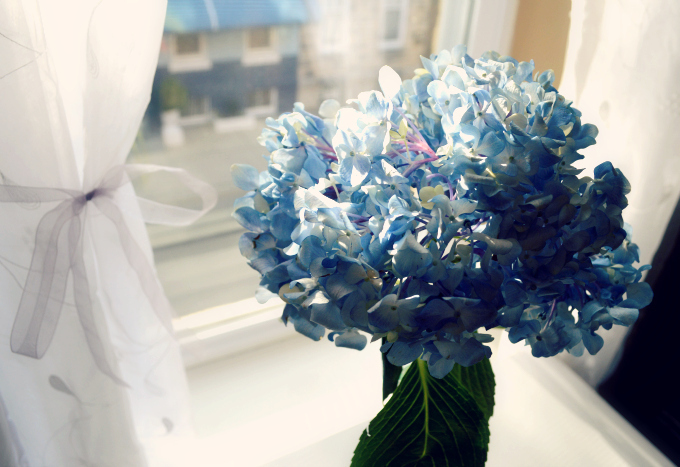 Blue hydrangeas are my favorite! So beautiful! This are beautiful! I wouldn't have thought to add flowers to my room, but this post inspired me. I really like your blog and your style. I love hydrangeas! I have them growing everywhere in my garden and I am just waiting for some beautiful bright blue ones to pop up! What a wonderful way to brighten up a room and mood! Great pictures.Thanks for your kind visit hun, may this week be a great one for you!